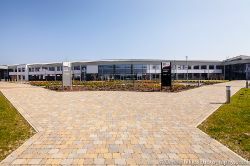 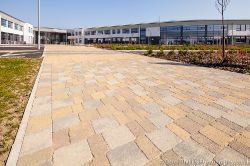 Great commission from Tobermore to shoot the use of their block paving at the new Penarth School in Cardiff. 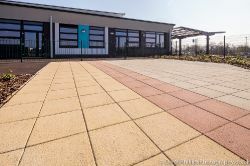 Stunning expanses of beautiful paving stone lead up to the brand new school. 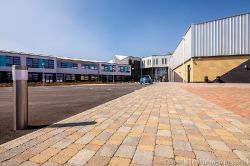 Captured using a 17mm Canon tilt shift lens designed specifically for architecture. 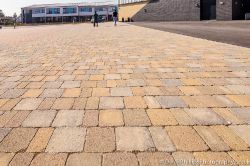 The brief was to illustrate the paving. 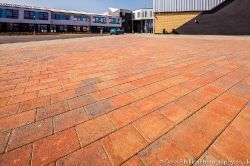 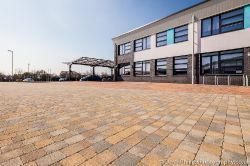 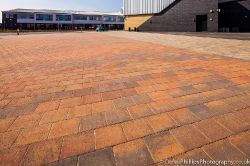 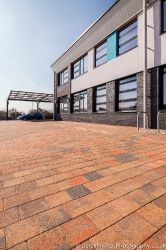 The use of a specialist 17mm tilt & shift perspective control lens enabled me to show off the stunning block paving within the context of the school and ensure the perspective was correct on the buildings. 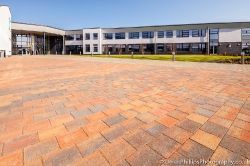 The day and time was chosen for the best light to bring out the colours and texrtures, and it was half term so the school was very quiet. 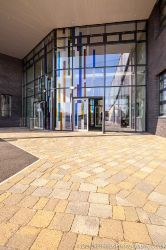 Below are a few samples from the day.